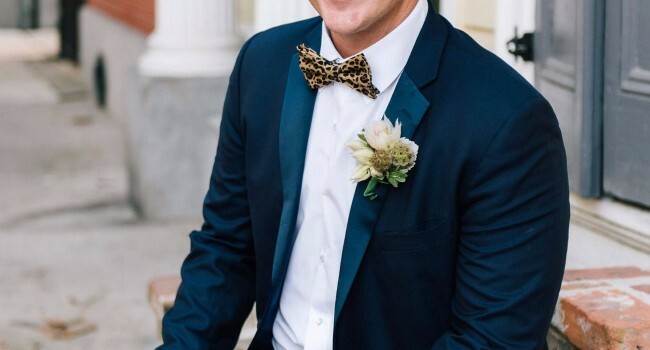 A butterflies and bowties styled shoot got me thinking about the different neck wear options grooms have beside solid color neckties. 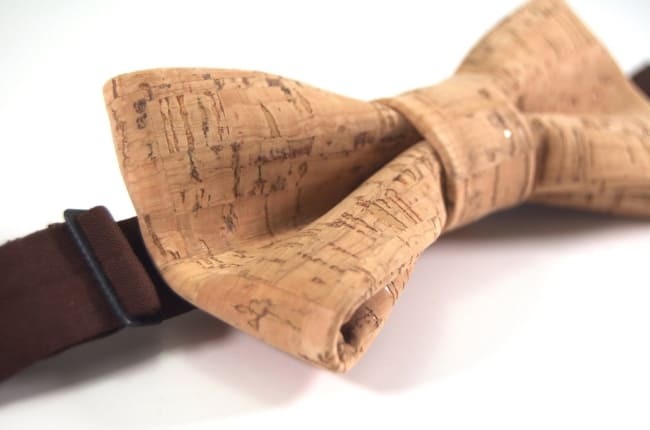 Let’s face it, skinny ties have definitely taken a back seat for groom-wear. 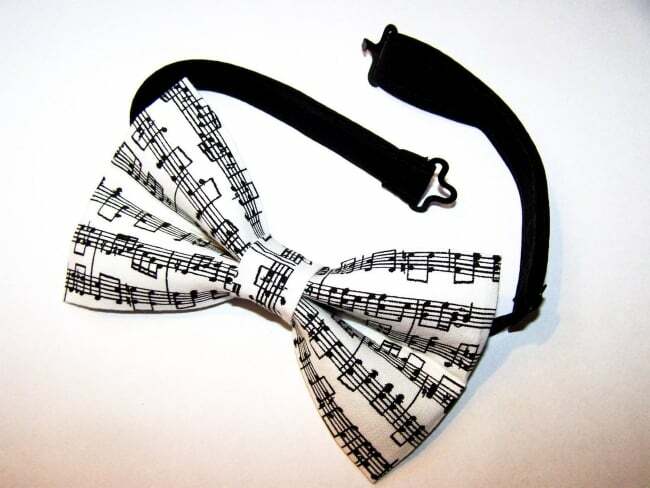 How about a neck warmer? 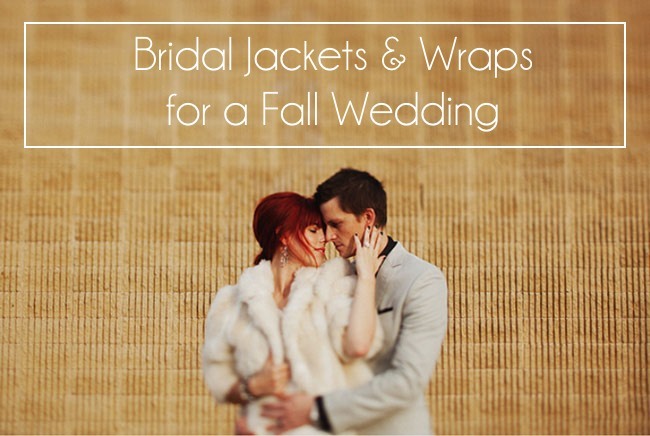 Not unless you are planning to get married in Antarctica. 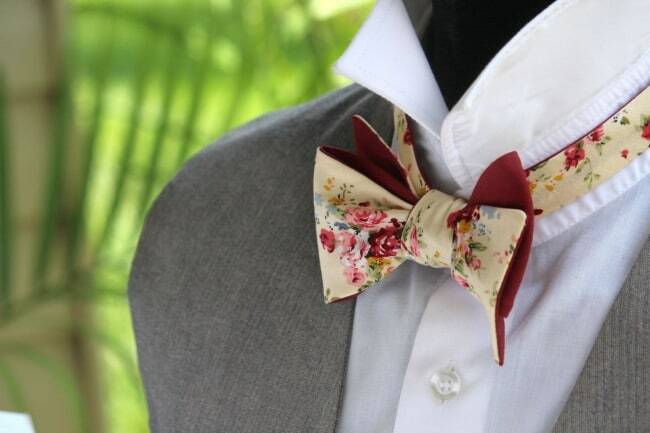 However, bow ties are still making a resurgence and grooms everywhere love them! 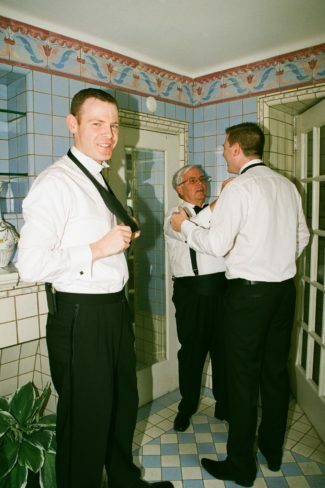 In fact, my husband wore a classic black bow tie on our big day, and so did his best man. 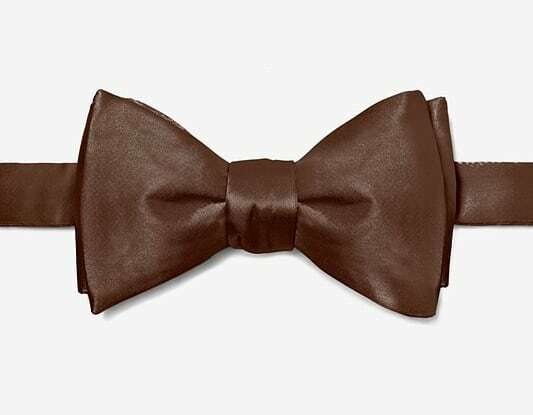 Tip for future bow tie wearers: know how to tie a bow tie long before you walk down the aisle or find yourself a pre-tied one! 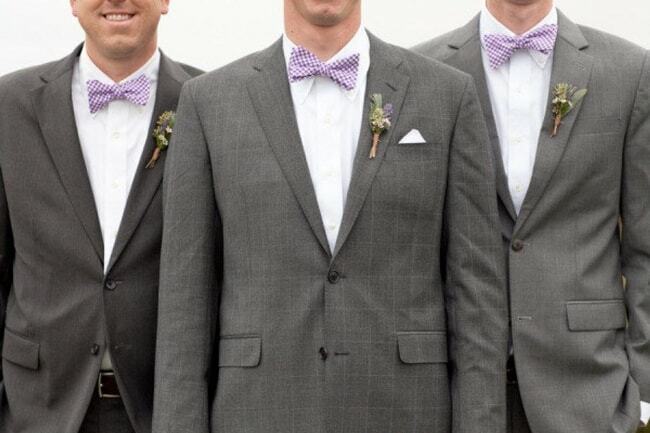 There was minor panic for my groom and his best man 5 minutes before our wedding ceremony was slated to start because neither of them knew how to tie their bow ties! Andrew’s new father-in-law came to the rescue thank goodness, and the whole episode made for a good laugh later on. 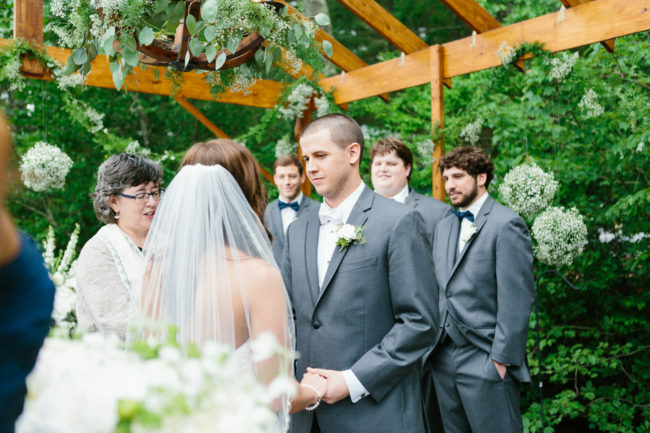 Definitely not the sweat you want to feel right before you walk down the aisle. 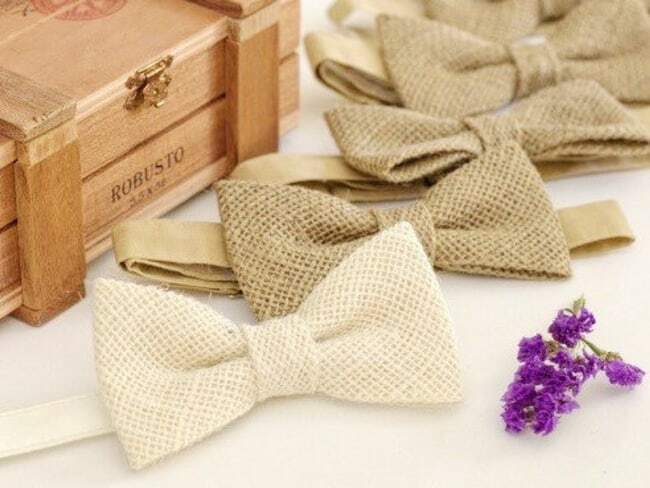 Let’s look at our photo collection of the best Love & Lavender bow ties in solid colors, pattern, paisley, classic black, or even polka dot! 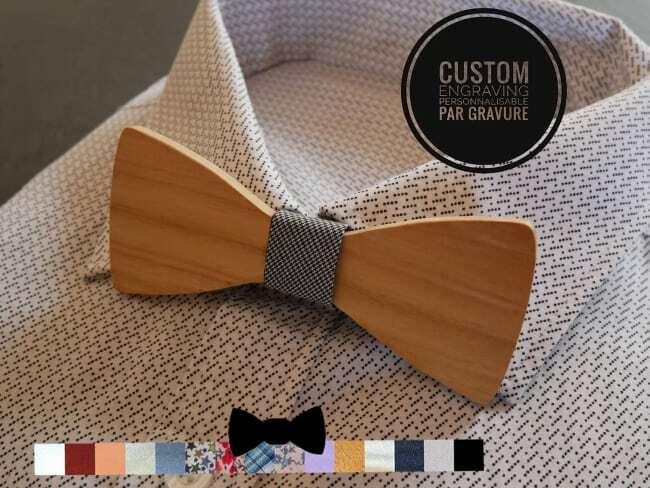 And for those men that find themselves in a necktie 5 days a week, this is a great way to change up your everyday appearance. 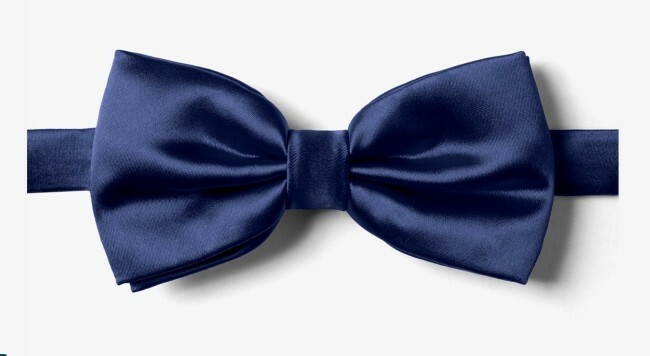 A classic black bow tie with a tuxedo will never get old. 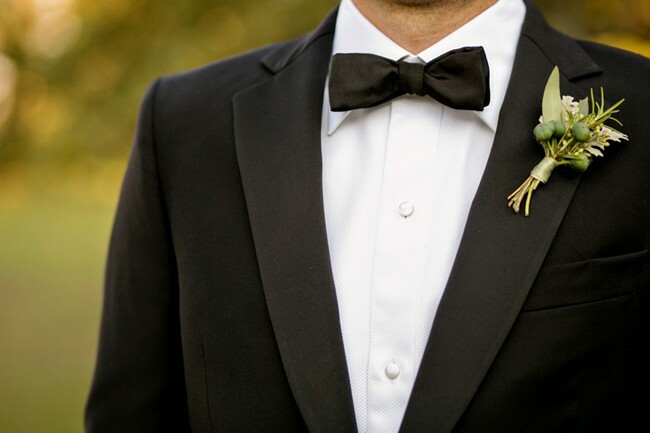 My husband loves the formal look and wore a classic black bow tie with wingtip shirt. 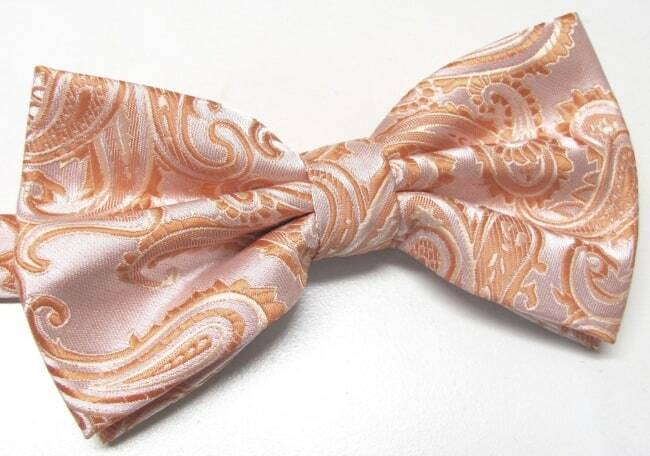 He liked the idea of our 1920’s theme as it reminded him of one of his favorite books – Hello Great Gatsby anyone? 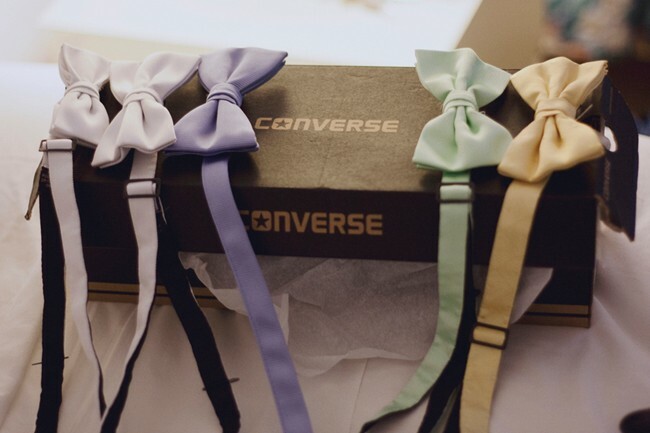 A wedding is the groom’s moment to shine too. 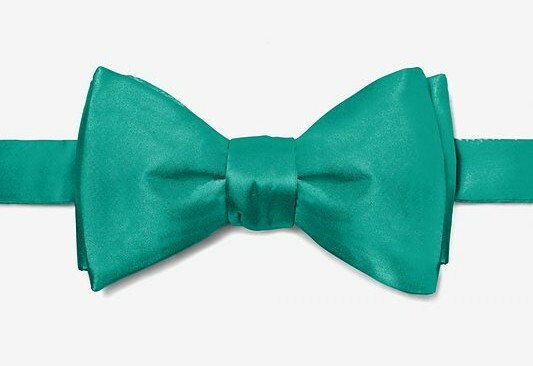 Go classic if you wish or add some color to your attire like the gentleman in the following sections. 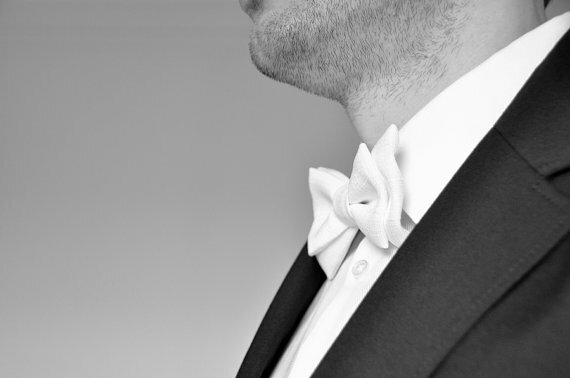 Usually when you hear white tie your immediate thought is probably starched shirt, waistcoat, wing collar and white bow tie for the gentlemen, which is usually the case. 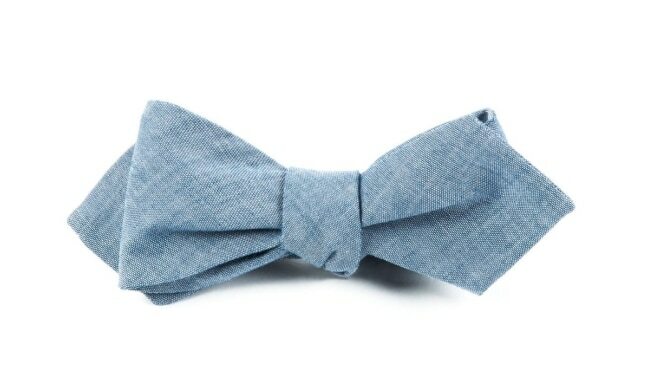 But white bow ties can also be dressed down too. 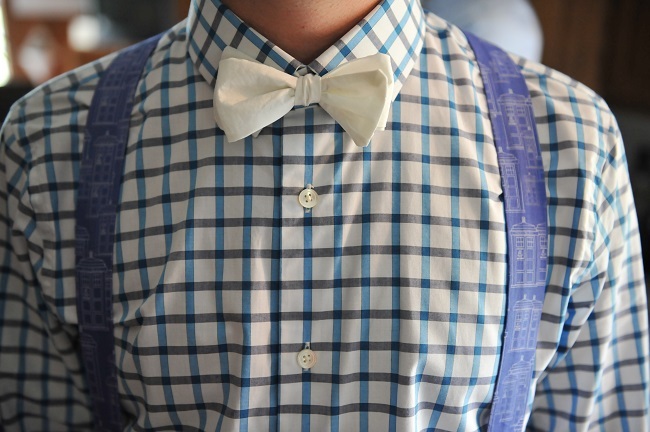 And look how fab this groom looks in his plaid shirt and suspenders. 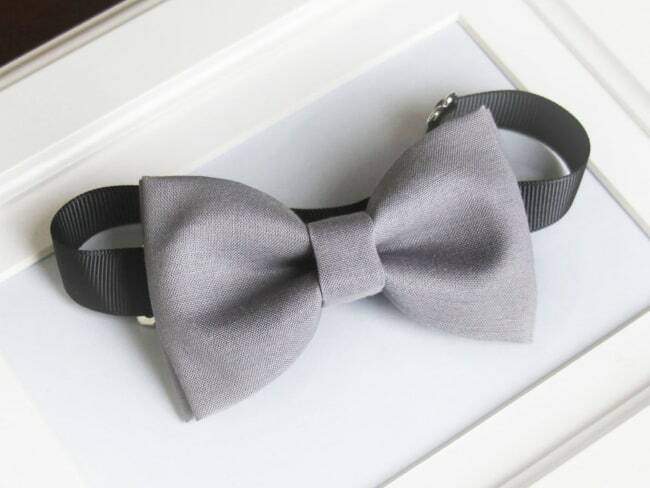 Black suit with a silver or grey solid colored bow tie can look striking and sharp. 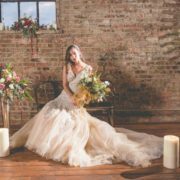 Wedding don’t have to be traditional and stuffy, for the majority of us this is not a high class societal event. 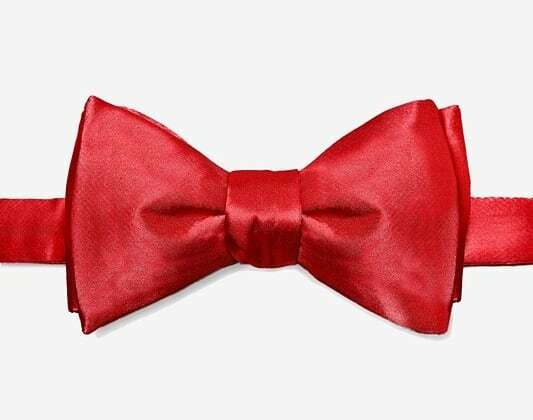 Therefore wear whatever you want! 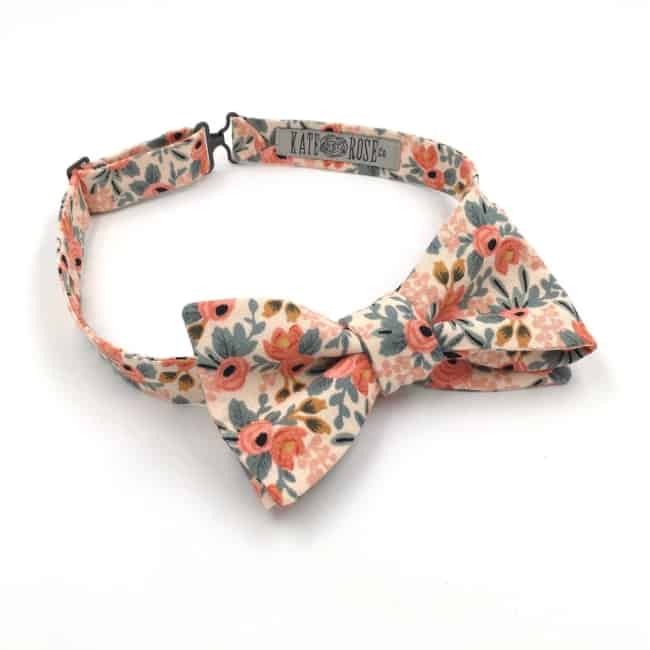 Spice it up a bit and have some fun by adding a pop of color with different patterns, designs, or match your neck wear to your wedding theme. 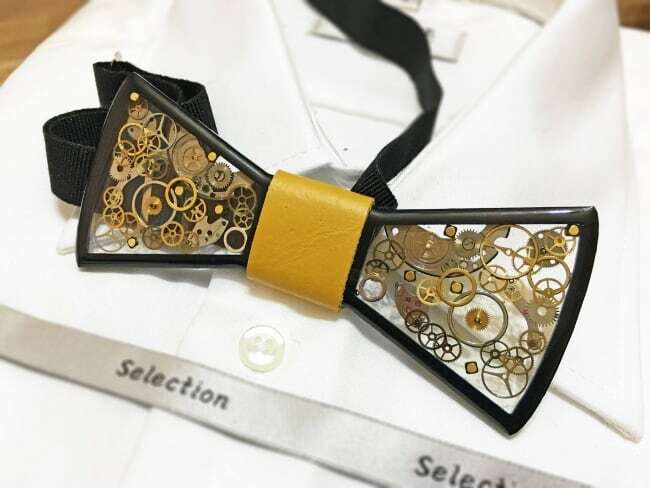 When choosing a bow tie, not only do you have to choose the right color or pattern, you also need to be aware that bow ties come in an array of shapes and sizes. 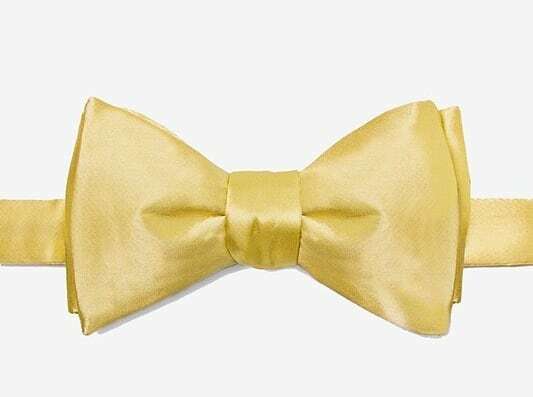 The butterfly style is one that everyone will be familiar with. On average it’s 2.5 in height and will fit most face shapes. 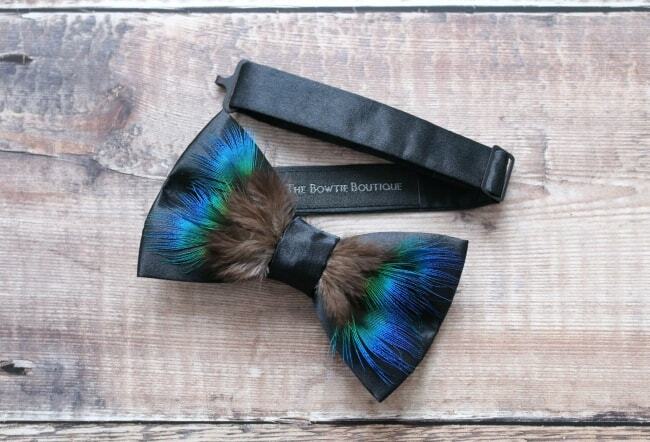 The butterfly bow tie also comes in a larger size, which is known as The Big Butterfly. 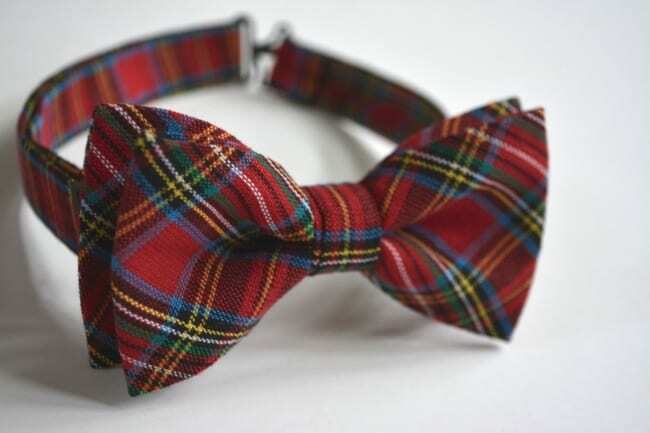 They are usually 3 inches in height and would normally be worn for very formal events with a tuxedo. 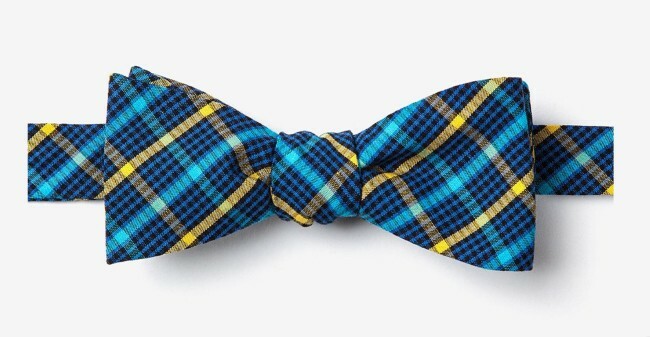 Batwing ties are 1.5 inches – 2 inches in height or less and work well with solid colors or small patterns. 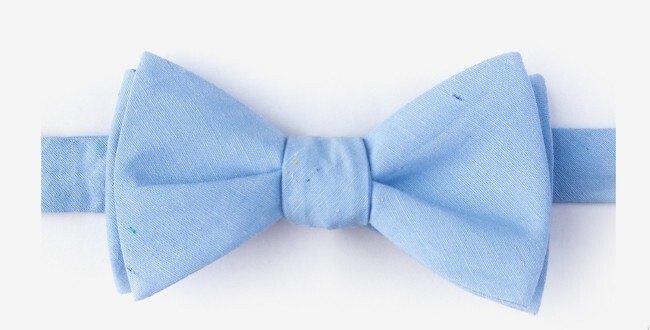 A batwing bow tie should be worn by men with narrower faces and small collar sizes. 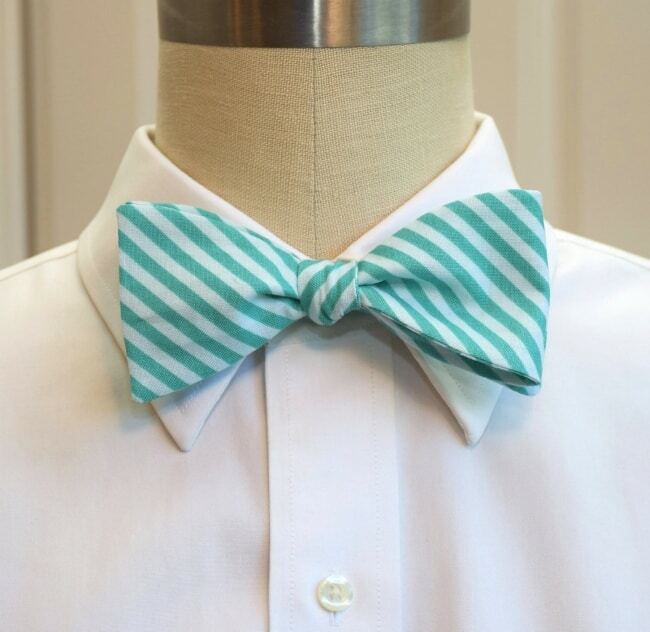 Not often seen, the diamond tip bow tie is gaining popularity. 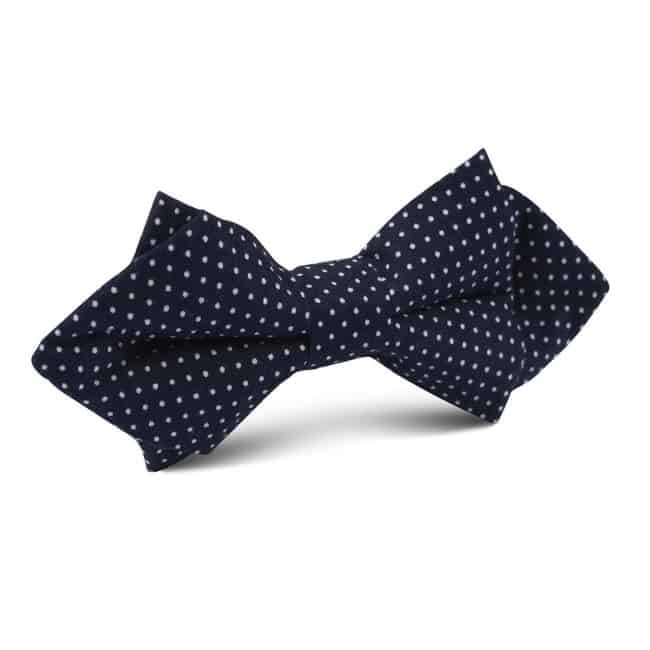 The edges are pointed to give it the diamond shape and when wore gives off an asymmetrical style. 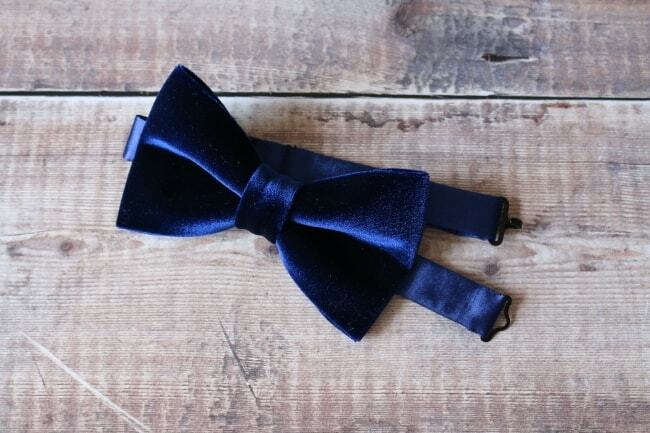 14) Another option for the groom to standout is for groomsmen to wear all the same color bow ties (or neck ties) and then have the groom wear a different bow tie in the same color palette. 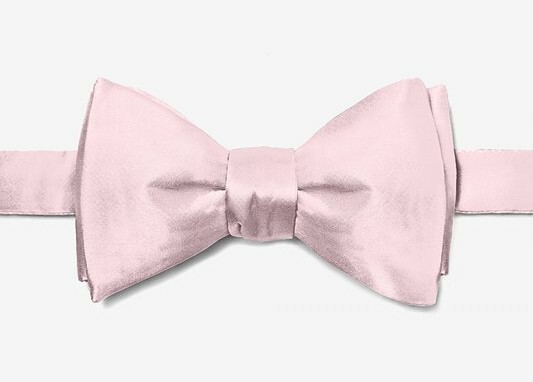 Maybe you are a little traditional and not ready to rock the pink bow tie or a bold pattern, but you can still wear a bow tie with a solid color. 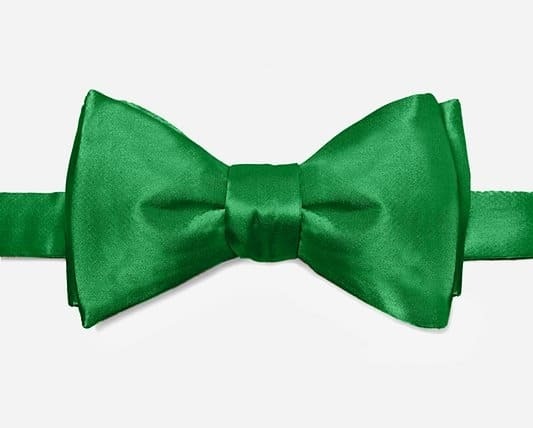 Just think how it will make your eyes pop. 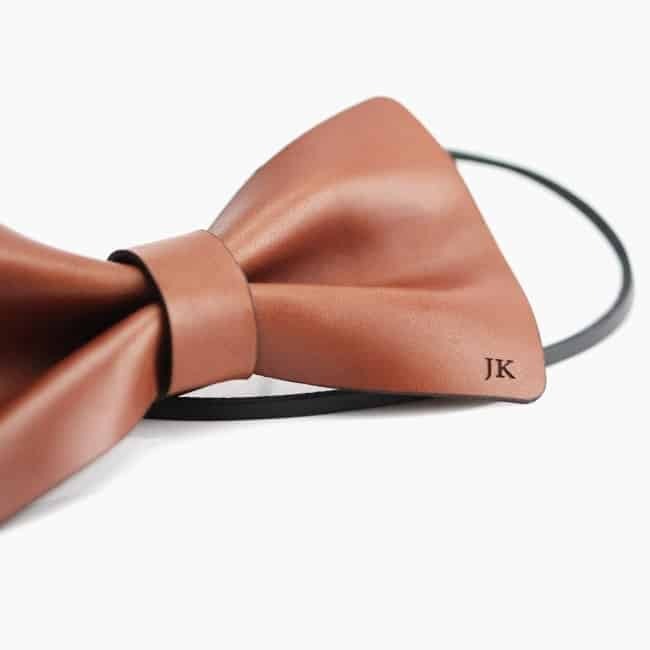 Great wedding bow tie ideas like the ones above can really personalize a groom’s attire. 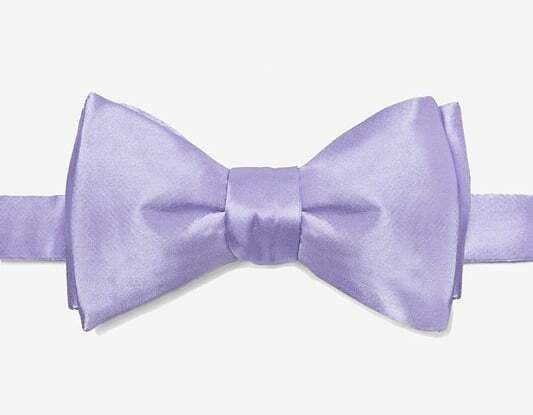 Let me know how your wedding incorporates a bow tie in the comment section below!